4 Beds 4 Baths 1 Partial Bath 2,349 Sq. ft.
Fresh, modern east-side home with private treed backyard, raised garden bed & lovely landscaping. 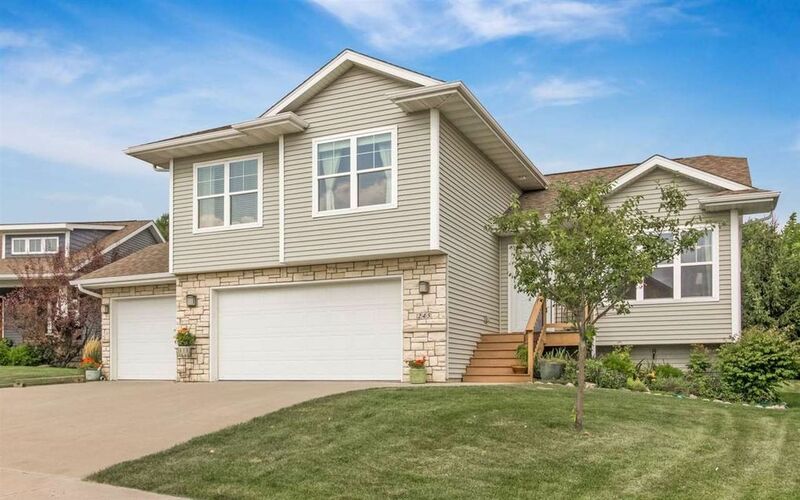 Eat-in kitchen w/ alder cabinetry, breakfast bar & stainless appliances; sunny living room w/ vaulted ceiling; family room w/ gas fireplace & custom built-in bookshelf; oversized master bedroom w/ en-suite 3/4 bath & walk-in closet; LL bonus room; spacious 3 car garage w/ storage. Ideal location within 1.5 blocks of new playground; easy access to I80. Move-in ready condition; not a thing to do but enjoy!